The Great Carmichael Cherry Tree! Ever since I was 8 years old I wanted my own cherry tree. We had one in the neighborhood and all the kids that lived nearby would attack it when the fruit started to ripen. Between us and the birds there wasn’t much left for making pies or anything. Then the tree was chopped down and that was the end of that. Jim and I (actually it was the local nursery who did the planting) planted 2 that didn’t make it a few years back. However, 18 months ago we planted one and it now has real cherries on it! They are wonderful too. These are the first ones I’ve picked and they tasted just like I remember too. Most aren’t completely ripe yet but will be soon. 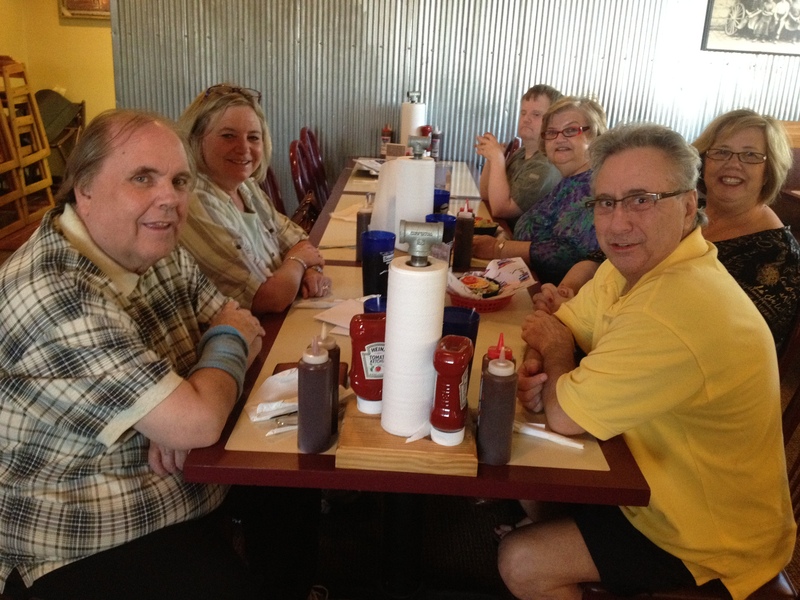 Today was my brother George’s birthday, so we celebrated it at Bandana’s BBQ. I stuck to my diet (Chicken breast 3 ounces – no skin with baked potato (lemon no butter) and green beans. I’m sure green beans and chicken were salted pretty good but since I took skin off I shouldn’t have too much of a problem. Also stuck to water. We always have a good time getting together. This group here could tell ya some tales. We have had some pretty good times. Dolores’s husband Tom was still working and Jim was busy taking care of a project for Alex who was with the band. 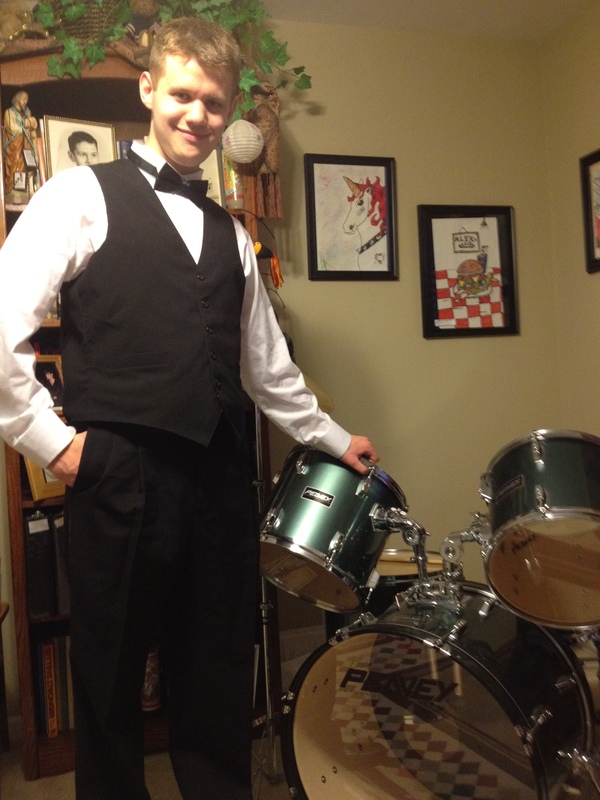 After Alex made it home, I had him pose for a picture with his concert uniform on. He’s a drummer…like his Mom was way back when. Don’t think I can’t still get on that set and rock those drums now – ha! Don’t do it too often though (I am a bit rusty too) – loved band. Alex does too. Last night I ran 2.75 miles. That’s right…I shortened time on the computer which for me is a struggle. 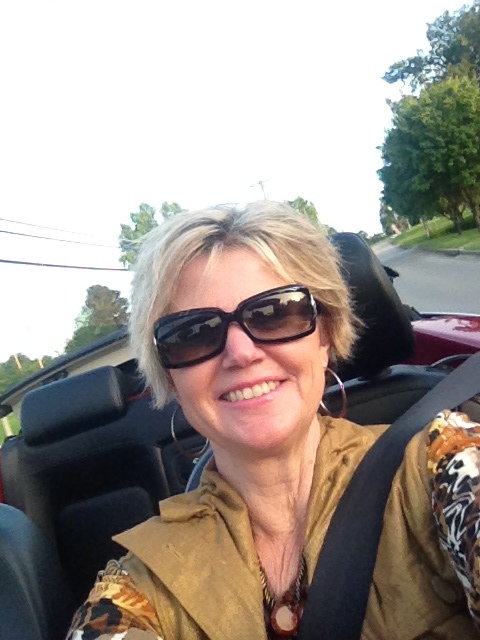 Carl calls me “Annie-pedia.” I love research and data. Getting back to the run yesterday – it wasn’t quite as easy as Sunday. I sometime get a pain in my left shin – had it yesterday while running (whiner). After a while (a couple of miles) it usually goes away – it’s only in the one not both. Still feeling stronger and better able to pick up pace. LIFE Runners are presently the largest team registered for the St. Louis Rock and Roll Marathon >150 members. That’s my team! Join in the fun – register for the team here. LIFE Runners has 27 chapters in more than 20 states around the country. This entry was posted in Diet, Fitness, running, Tips, Training. 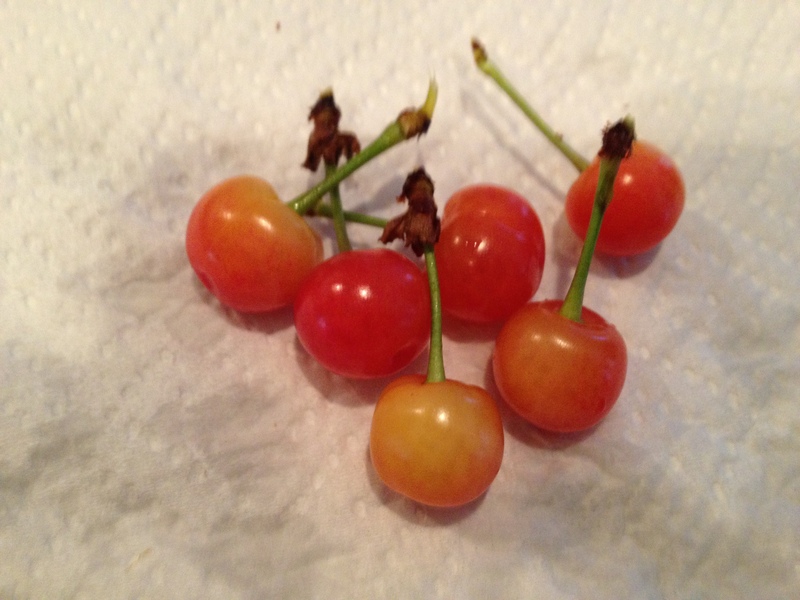 Tagged Cherry, fitness, Fruit, George, health, Home, Missouri, Road running, Sunday, United States. Previous Post Previous post: Polycarp?